Having the right temperature is so important for making yogurt. Our often cool, damp weather in Seattle has been a real challenge for making yogurt at home, but that’s when you find ways around it, and make more and enjoy during the warm days. We are back to 70+ F weather, summery after a few weeks of what felt like Fall. There are no gadgets or machines required. Once I saw a so-called “green site” advertise a yogurt-maker. They were trying to argue how many resources you can save by not buying those plastic containers, while recommending you buy this machine … um, WHAT?! Seriously, and the electricity that yogurt-maker uses?? and the materials used to produce and sell a yogurt-making machine to every home? With my more traditional method, you can go back to the basics, where all the best food starts. Homemade yogurt is milder than the store-bought stuff which turns sour easily, and you can make your yogurt in small quantities, to eat it fresh. Homemade yogurt is milder than the store-bought stuff which turns sour easily, and you can make your yogurt in small quantities, to eat it fresh. In India, you get a side of yogurt with every lunch during hot summer months. Yogurt is great for digestion, and yogurt helps cool your body. This is the reason people drink a yogurt drink called lassi, all over India! You will need some culture or a bit of yogurt you like as a starter. Once you have a bit of yogurt to start with, after that you can continue using some of your very own homemade yogurt to make more as you like. 1. Bring the yogurt culture down to room temperature, and beat it to a loose consistency. 3. 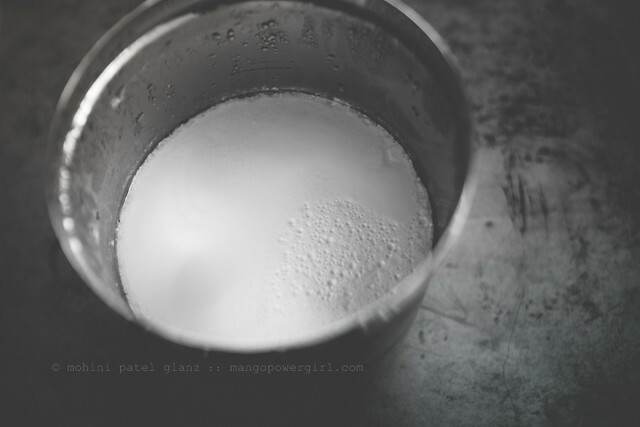 Dissolve the yogurt culture into the warm milk, in a pot you will set your yogurt in. The best way to do this is to add a few tablespoons of milk first, and make sure no lumps remain or form, then add rest of the milk and stir. 4. Cover the container and store in a dry, warm place — this is very important. In cooler or damp climates, finding the right spot can be difficult. If you have a stove with a pilot on overnight, leave it in there. An oven, heated for 2 minutes on its lowest temperature, then turned off, can work if it is well sealed and if you do not overheat. I have had success using a heat wrap, or an insulating item like an oven mitten, placing it around the yogurt container to keep the warmth in while the container sits safely in an unused oven. The warmth is what helps milk curdle into a container full of yogurt. 5. It takes about 5 hours for the yogurt to set. This will vary based on temperature, altitude, and amount of yogurt you are making, so check it sometime before and be prepared that it might take a little longer. 6. As soon as the yogurt sets, refrigerate it. The longer your yogurt sits outside after curdling, the tangier it will get, so to keep that wonderful, sweet, fresh yogurt flavor you need to time this step properly. When the yogurt is set, the whey (the watery layer) separates to the top, and the bottom will be set firm. If you tilt the container, you will see that the yogurt is firm but not totally solid (see first photo in this post). Note that the yogurt will solidify more as it refrigerates. Use the yogurt fresh, of course! When you have almost finished your yogurt, set enough aside to use as a culture for your next batch! the picture makes me think of India and my mom…love homemade yogurt, very different, very yum. Aww 🙂 this steel container is from my mom! I love homemade yogurt, too…tastes like no other! “Green Yogurt would make a better title for the essence of your post.and of course the probiotic bacteria (or something like that–correct me) that is absent in commerical yogurt otherwise stated. I use a similar method for making yogurt, keeping the oven light to keep the oven warm after firing it up for a bit.pretty cost-effective since I make several gallons at a time. Anrosh – That’s true, but now a days lot of the commercial yogurts have the added bacteria.Jude – Thanks for that tip!